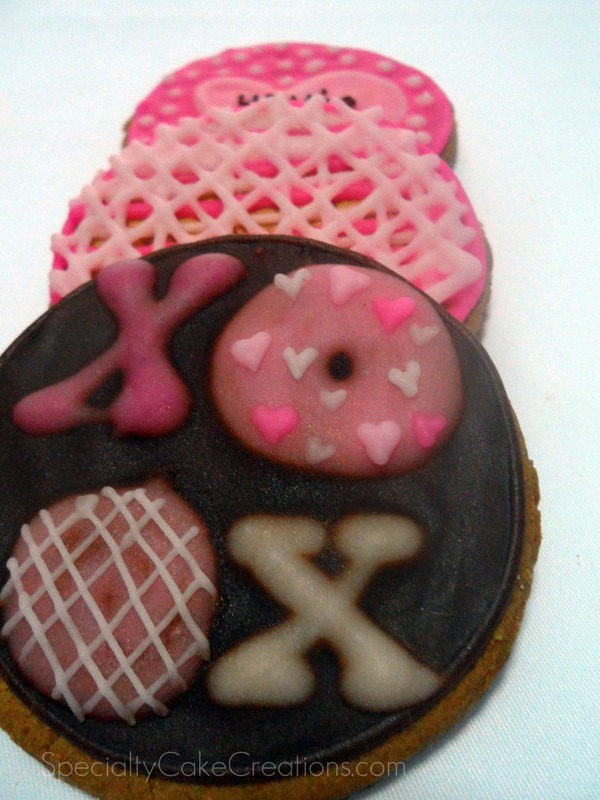 Decorating cookies can be really easy. 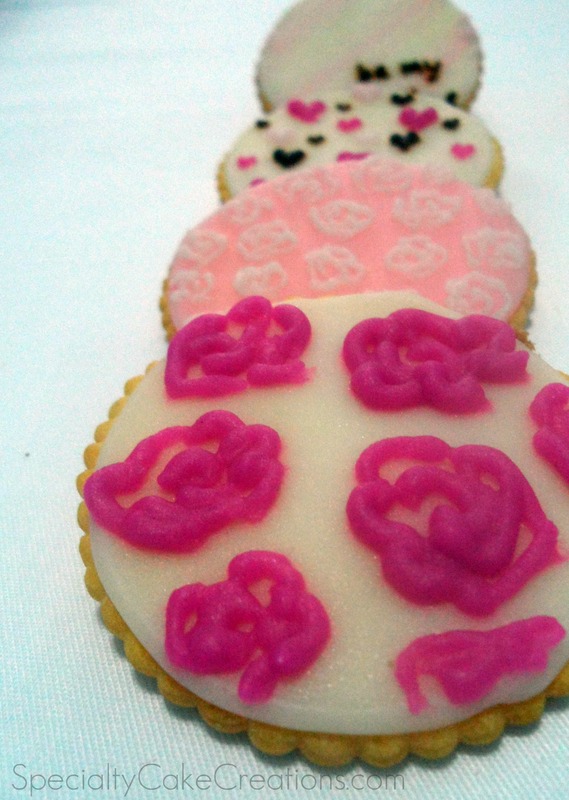 Who ever said that in order to ice cookies and create beautiful patterns you need to bake them yourself? Maybe you have no time, aren’t in the mood to mess up the just cleaned kitchen, or think you have no baking talent. Or, like me at the moment, have no oven to work with. 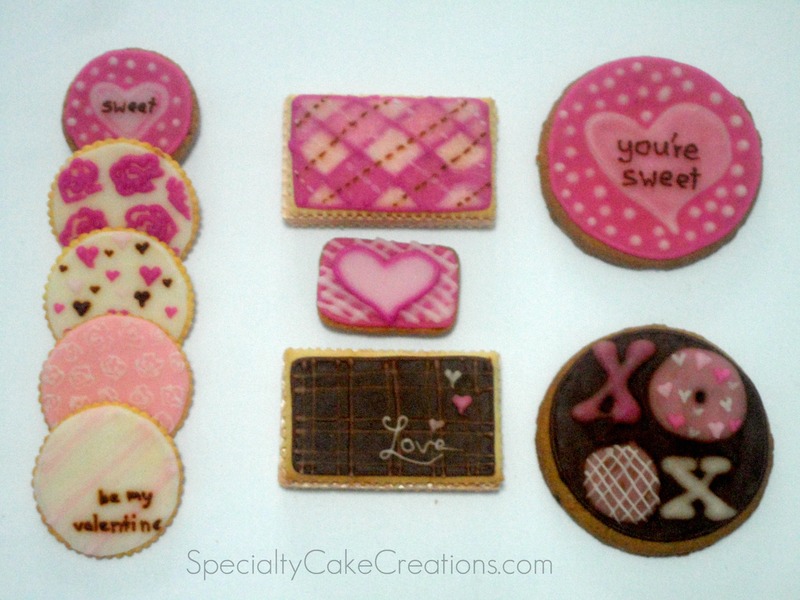 All of the cookies I used for the Valentine’s Cards inspired theme where not baked in my kitchen. 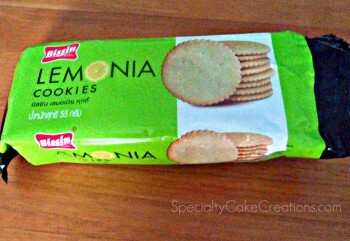 The cookies I used were all quite different, but I tried to look for varieties that have at least one fairly flat side. Otherwise the icing will run places you don’t wont it before it can dry. 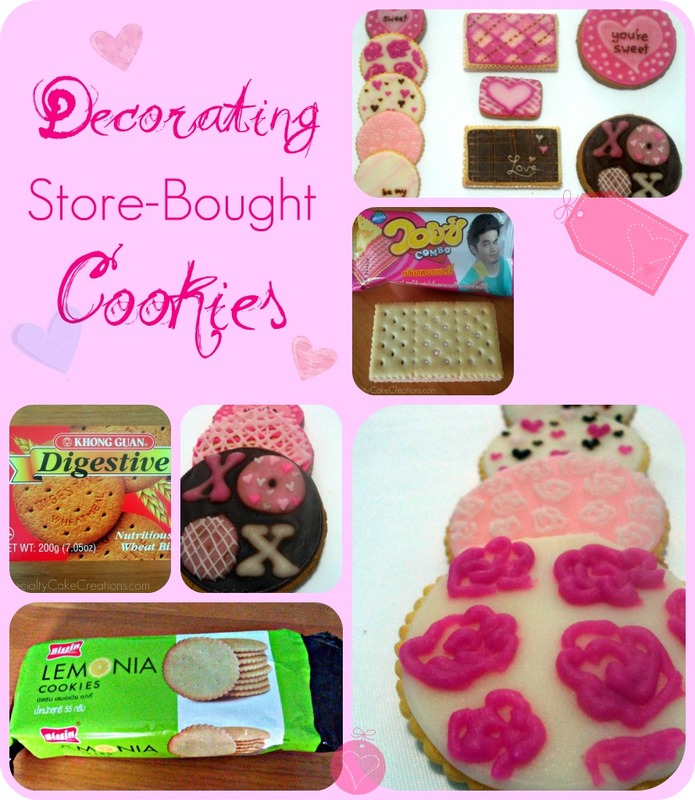 These deliciously refreshing lemon cookies became cute arrangement of floral and heart designs. They are very thin, almost cracker-like, and are sprinkled with lemon sugar on top, so I actually decorated the back side. 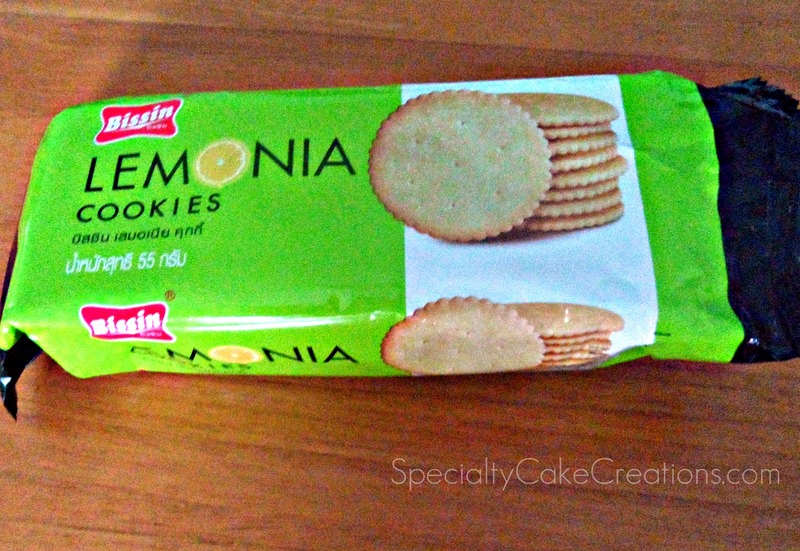 Let me share with you my new absolute favorite treat/snack. I am usually not a big fan of wafers, but my husband just the more. It was him actually who discovered these. 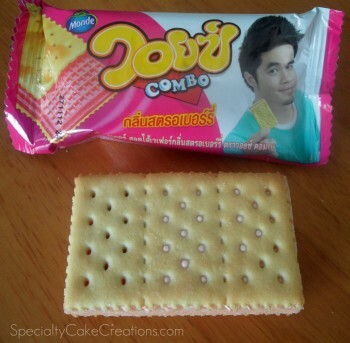 It is a strawberry-filled wafer sandwiched in between two sweet crackers. These wafer sandwiches totally changed my take on wafers. Do you like digestive cookies? 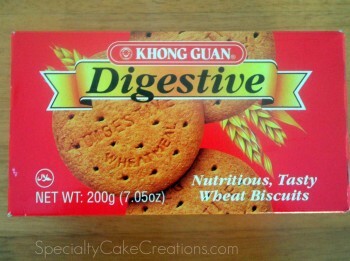 While I do enjoy eating them, I always found their name rather unappetizing. So lets quickly pipe some icing over the imprinted name. This way no gets reminded of their digestive system while eating cookies. Who, on earth, would want that? These were actually great for decorating. Of all the suitable cookies I could find in the cookie aisle they are the biggest, giving you a large canvas for your creativity. A fact to consider with store-bought cookies is that most of these are fairly crunchy. However, they will not keep that crunchiness for very long after decorating as the moisture of the icing will soften them slightly. They still taste delicious but it will be a different taste experience if you are used to eating that specific kind un-iced. I hope I could help inspire you for a project when baking is not an option.